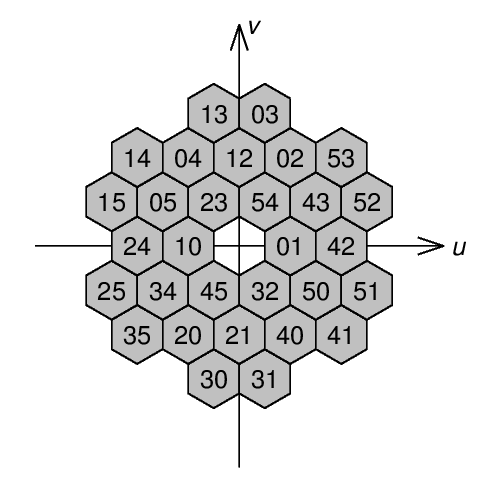 We've been discussing array layouts recently, with regard to riometry and outlines for LOFAR superstations. There are lots of possibilities of course, but there is one which is rather elegant as well as being practical. Today, we are featuring it here. The imaging or beamforming properties of an array of antennas is related to the baselines that the array possesses. A baseline is the vector between any two antennas in the array. If an array has 3 antennas, it will have 3 baselines: the baseline between antennas 1 and 2, between 2 and 3 and between 3 and 1. A 4-antenna array will have 6 baselines, a 5-antennas array will have 10 and so on. The number of baselines is related to the number of antennas N by the expression B = N (N-1) / 2. 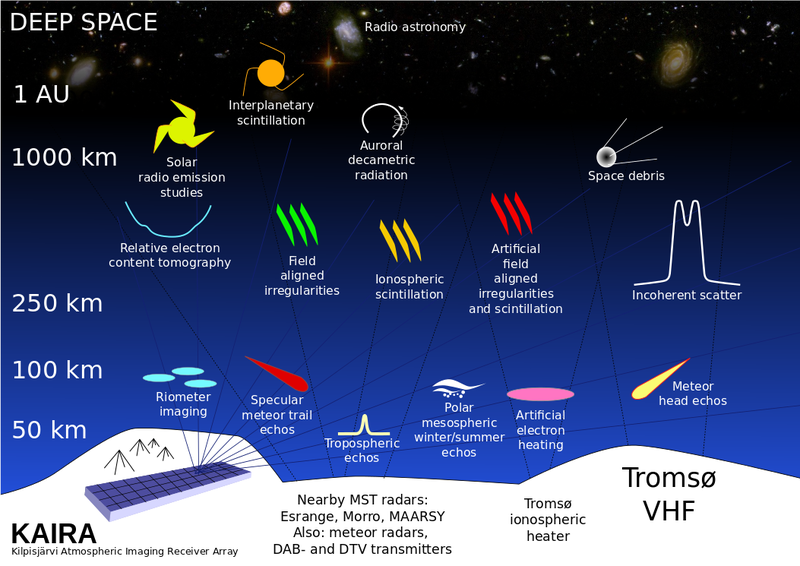 Although more antennas means more baselines, these baselines may not necessarily be unique. For example, let's imagine 3 antennas, equi-spaced on a line. The baseline from 1 to 2 will be exactly the same as the baseline from 2 to 3. These are referred to as redundant baselines. Although the extra antennas add sensitivity, the fact that the baselines are identical mean they do not add to the imagine quality (i.e. the beampattern). Finding an array layout with no redundant baselines can be tricky. Even harder, is finding one whose baselines are neatly distributed, thus sampling as much of the baseline parameter space as possible. 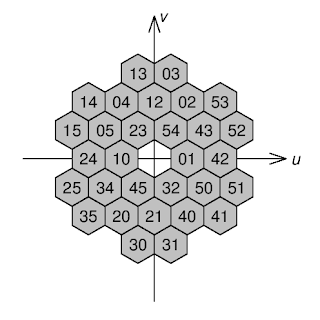 This parameter space is typically plotted on a graph referred to as a uv-diagram (the differential spatial axes are u and v). 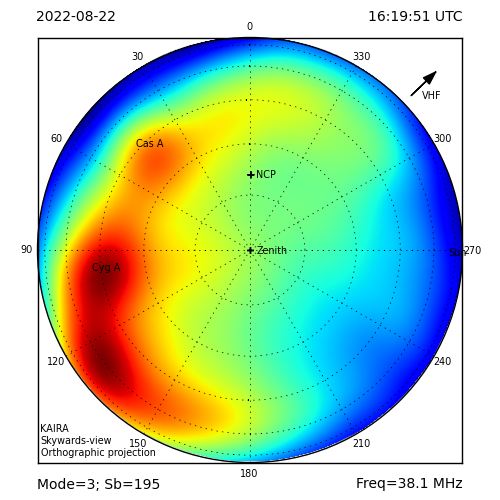 In the uv-diagram, the baselines are labelled XY, where XY is the baseline for Antenna X - Antenna Y. As you can see, the baselines are equispaced with no redundancies. I was introduced to this array by Björn Gustavsson (UiT), but I don't have a reference for who came up with it originally. We tend to refer to it as a Manx Array, owing to the similarity between the antenna layout and the triskelion that appears on the brattagh Vannin (the flag of the Isle of Man). But if anyone has any original references, please let us know! 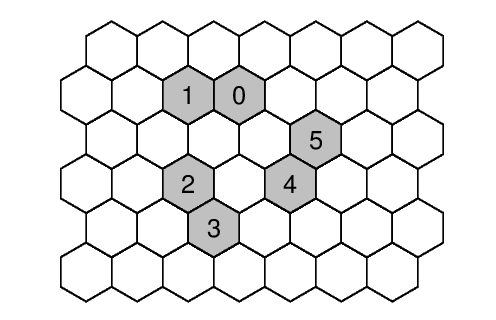 PS: It is delightful to work with hexagonal grids. 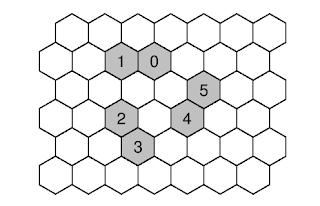 It takes me back to the old days of playing with hexgrid-based games.